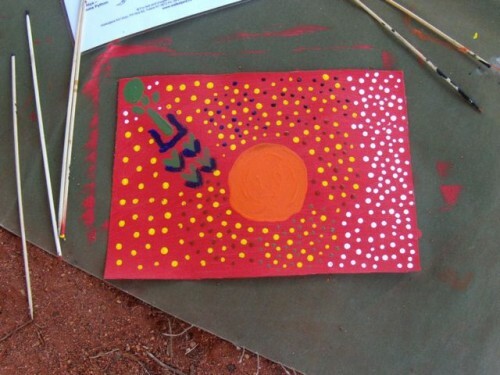 #6 Because when my Anangu Aboriginal guide at Uluru/Ayers Rock realized I was hopeless at spear throwing, he suggested I’d be better at dot painting—a traditionally female art! It was a junior high moment all over again. There I was desperately trying to butch it up and not throw like a girl. 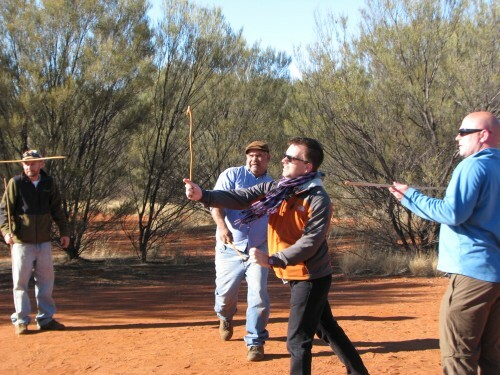 Except instead of a baseball and mean jock of a coach, this time it was a spear and a shy yet cheeky Aboriginal guide. One of the most intriguing and insightful ways to really understand the special place that Uluru/Ayers Rock holds in the mythology of Australia’s native people is to spend a morning under their tutelage. 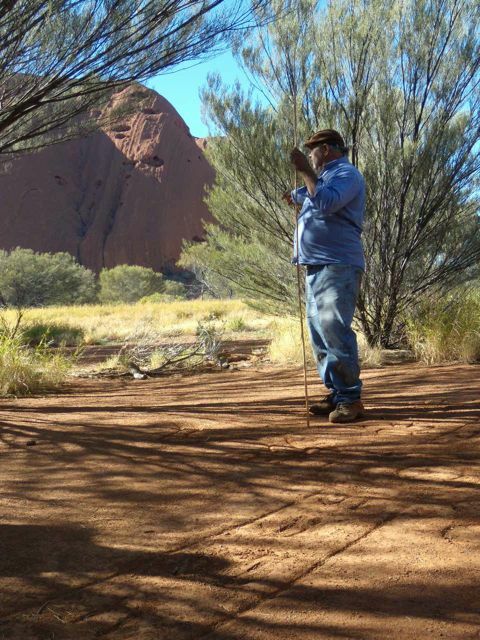 Anangu Waai, a tour operator owned as a cooperative by the Anangu people, the traditional custodians of the rock, offer tours with lessons in carving and throwing wooden implements. I gave it my best. I really did. But predictably, and stereotypically, I was hopeless. Rather than laugh me off the rock, the guide smiled and told me not to lose heart, he was sure I’d be better at the dot painting. I took that as a compliment—and encouragement. Sure enough, after being suspect of dot painting, I got completely caught up in creating my own story of the journey to Ayers Rock—my rather literal interpretation included coming from a land where a large green lady holds a torch (thanks Lady Liberty). My painting earned a smile from my teacher. 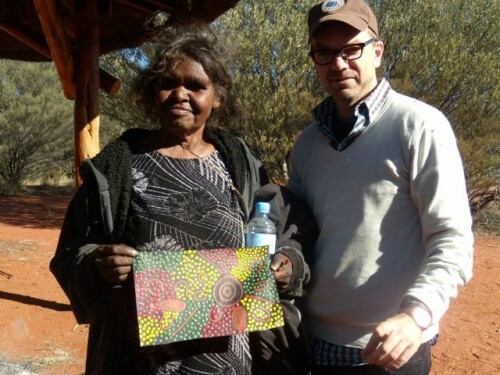 And I learned to love the Anangu people up close and personal—enriching the rest of my Uluru experience. Like one of my all-time favorite films Priscilla, Queen of the Desert, the ultimate destination on my last trip Down Under was Uluru (Ayers Rock) in the country’s “Red Centre.” Granted, I didn’t take a bus or wear a silver lamé dress (damn), but I did sing lots of disco songs and chose a circuitous route. I found the majesty of Uluru spellbinding—one of those places that more than lives up to expectations. No wonder it’s a finalist to be one of the New7Wonders of Nature, an online poll that will announce winners on 11.11.11. Join me in voting for Uluru/Ayers Rock, by visiting www.n7w.com/uluru. Who knows, maybe I’ll end up adding Uluru to my sleeve.